- Select Option -4 lb.6 lb.8 lb.10 lb.12 lb.15 lb.17 lb.20 lb.25 lb. Rocks, weeds,docks. Hit the heavy cover with confidence. Now your whole spool can handle the toughest waters with a main line fluorocarbon designed with unparalleled abrasion resistance. 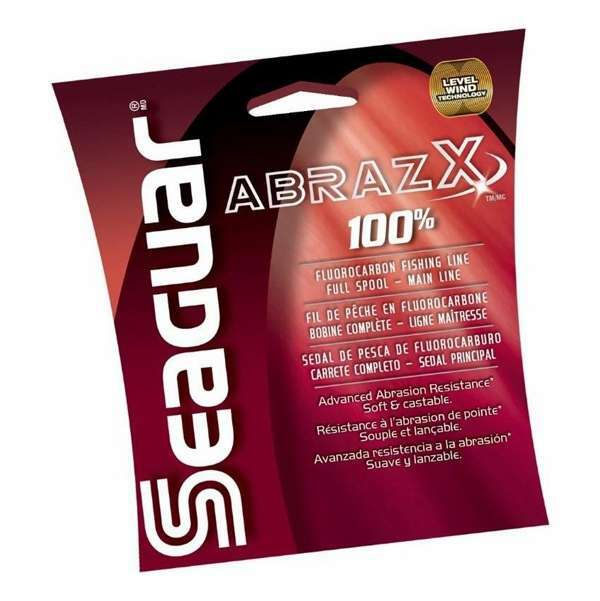 AbrazX - Fish can't see it, stuff can't break it. 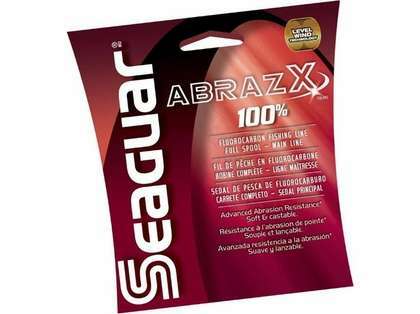 I have always used Seaguar Fluorocarbon line. It is very strong and holds up to the punishment that I give it. Also very sensitive to light bites. Works great in the surf. Holds up to abrasive sand very well. I like this line. I bought this line as leader material for inshore fishing. Unfortunately the line kept breaking at the bottom of the Alberto knot I was using, which has never happened with any previous line. After switching back to another line, I had no more issues with breakage. It did seem pretty soft and manageable though. Perhaps I got a bad spool, or maybe it is better suited as a main line. Either way I do not recommend this line with an Alberto knot. Very strong and low visability works great for snook and redfish ! Very good abrasion resistance aswell . Love this fluro works great as leader matierial for most types of fishing! Got very good abrasion resistance and very little stretch would recomend anyone to at least try it out! Would be carefull tho not a great shock leader go for mono ! Great for snapper fishing Got very good abrasion resistance and very little stretch would recomend anyone to at least try it out! Seagaur is one of my favorite choices when it comes to fluro leaders. Got very good abrasion resistance and very little stretch would recomend anyoen to at least try it out! ConsNot great as a shock leader. A strong line that resists abrasions and has give.